Do I Need to See a Hair Loss Doctor? As soon as you notice that your hair is thinning, your first step is to make an appointment with your general physician. Oftentimes, early intervention is key to reducing the severity of hair loss, so don’t delay visiting your doctor. Your doctor can run tests to determine the cause of your hair loss. From there, your doctor will recommend next steps, which will usually involve treating the underlying illness of which the hair loss is a side effect. For example, if your doctor determines that your hair loss is from thyroid disease, they may prescribe thyroid medication or recommend seeing an endocrinologist. Your doctor might also suggest using a medication like finasteride or minoxidil, which in some cases can help to slow hair loss and encourage regrowth. However, these medications do have side effects, so it’s important to weigh the pros and cons of taking them. 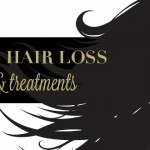 Some types of hair loss, like those caused by scalp conditions, are best left to be treated by a hair loss doctor such as a hair restoration surgeon or a dermatologist who specializes in hair loss. Depending on your doctor’s recommended course of treatment, you can use Toppik Hair Building Fibers to disguise hair loss while you wait for regrowth to occur. Hair Building Fibers use a natural static charge to cling to even tiny existing hairs, making it look thicker and fuller. 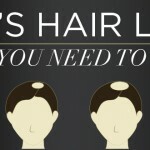 It could be the perfect confidence booster you need while your hair grows back! Other forms of hair loss, especially androgenic alopecia hair loss (also known as male or female pattern baldness), can be treated long-term but do not have a cure. While this type of hair loss may not be linked to more serious medical conditions, most androgenic alopecia sufferers understandably want a way to maintain or regrow their hair. A hair loss specialist can provide a number of medical hair restoration treatment options. These treatments may include platelet-rich plasma therapy (PRP) and hair transplant surgery. 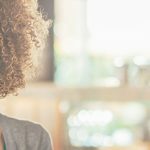 However, like taking medication, these treatments take several months to regrow hair and they may require long-term or even indefinite course of treatment. 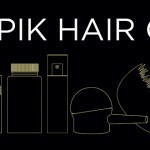 Styling hair with Toppik Hair Fibers can help you to bridge the gap — covering thinning areas after your procedure while you wait for your hair to regrowth. In conclusion, see your general practitioner doctor before making an appointment to see a hair loss doctor. Hair loss can be a symptom of illness, and only a doctor can determine the cause of your hair loss.